Costa Brava in Spain is also known as ‘Brave Coast’. It is a beautiful coastline in North-East Spain. It stretches for about 300 kilometers. There is a mix of sandy bays, coves with high cliffs, and beautiful pine forests. 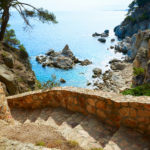 Thus, Costa Brava is home to beaches, bays, coves, and natural beauty. 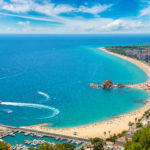 It is difficult to make a decision to find a place to spend your vacations in Costa Brava as there are so many different options. To help you make the decision, we have listed here three unmissable beaches on Spain’s ‘Brave Coast’. The beach stretches over 400 meters. It is a soft sand beach and is located at the foot of Pinya de Rosa where there is a beautiful botanical garden full of cacti. 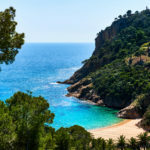 It is rated as one of the most beautiful beaches on the Costa Brava. 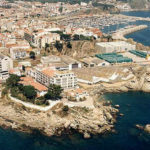 The beach is located at just a five-minute drive from Blanes. In the summer, there is a huge rush of the tourists on the beach and the beach provides a tranquil spot to enjoy throughout the year. In the summers, there is great hustle and bustle on the beach whereas, for the rest of the year, it is a peaceful place to enjoy vacations. 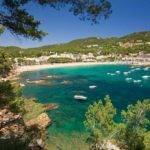 It is a small cove and it is hidden among the beautiful pine forests on the southern side of the traditional fishing village of Calella de Palafrugell. It is the last cove on the coastal path. It is a peaceful place to enjoy the unrivaled beauty of Spain. It is covered by red rock walls on the sides and there is a smooth pebble seabed. It is 75 meters long and is the best place to enjoy nature. The place has a beautiful picturesque and unforgettable landscape. It is situated in a small bay between Punta D’Els Forgats and Cap Roig. To reach El Golfet Beach from Calella, you can walk down the Camino de Ronda hiking trail. You can reach the beach in about 35 minutes. It is a perfect beach for the people who want to enjoy the serenity of nature. There are not too many facilities available on the beach, therefore if you are traveling with children; it is difficult to stay on the beach. 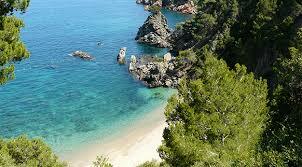 But, it is known as one of the beautiful beaches of the Costa Brava. 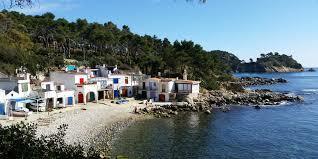 Patja de Castel is another beautiful and attractive beach in Costa Brava in Spain. You can visit the beach in winters because there are only a few people on the beach and you can enjoy the sun on the sand. The beach is located just a few meters from the Iberian settlement of Castell. The beach stretches over a distance of 300 meters. It is the best beach for a family vacation. The beach offers numerous services for the visitors. You can enjoy kayaking and other activities on the beach. You can explore the surrounding area. The beach is the best place for people who love to enjoy nature.